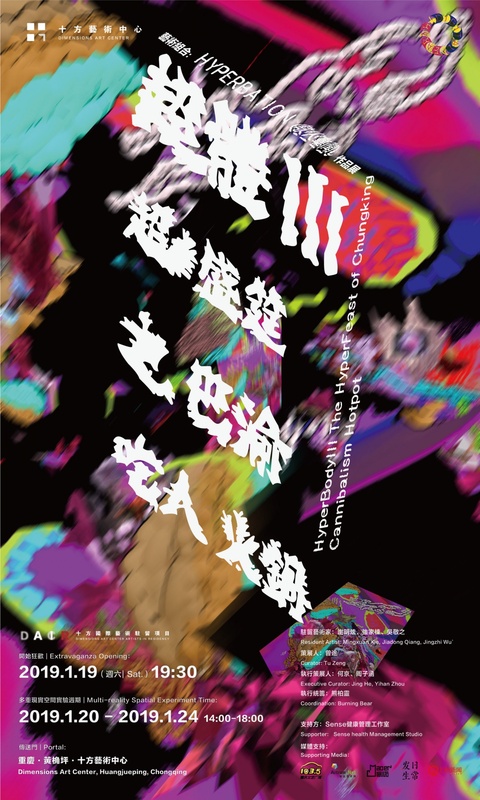 "HyperBodyIII The HyperFeast of Chungking Cannibalism Hotpot"
Obviously, their works are not only imaginative, but also base on profound theoretical framework! Pete and Ming, architects/game developers. In this team, Pete is responsible for aesthetics and aesthetics theory, Ming is responsible for technology and technology theory, bidirectional creation. As architects with professional background, when the traditional aesthetic and physical space design has been unable to satisfied them, the two architects began to explore another dimension of space. Eventually, Pete and Ming determine to collaborate - The "Hyperbation" duo is born, and the “HyperBody” series came into being. 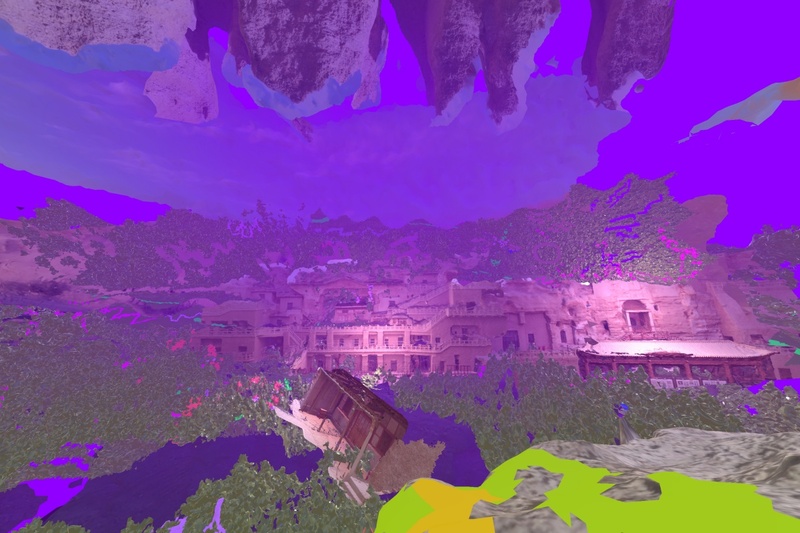 Specifically, “Hyperbation” is a series of "multi-reality spatial experiments" between virtual and physical spaces, and has been selected as the Digital Earth Fellowship project co-sponsored by the British Council, SIDA and Hivos. In the “HyperBody” series, the duo chose three different “HyperBody” from three geographical locations including Dunhuang, Beijing and Chungking to create in site: the “Hyper-religious Body” from Dunhuang Grottoes, the “Hyper-sexual Body” from Beijing and the “Hyper-gastronomical Body” from Chungking Hotpot. Based on seemingly unrelated Dunhuang religious culture, Beijing sexual minorities and Chungking hotpot culture, they select physical architecture, cultural image and sub-cultural genes to re-create the local cultural elements, and introduce violence aesthetics, three-dimensional scanning, VR technology to build up a multi-dimensional space in post-human era, which is spatial-temporal, cross-regional and cross-cultural. 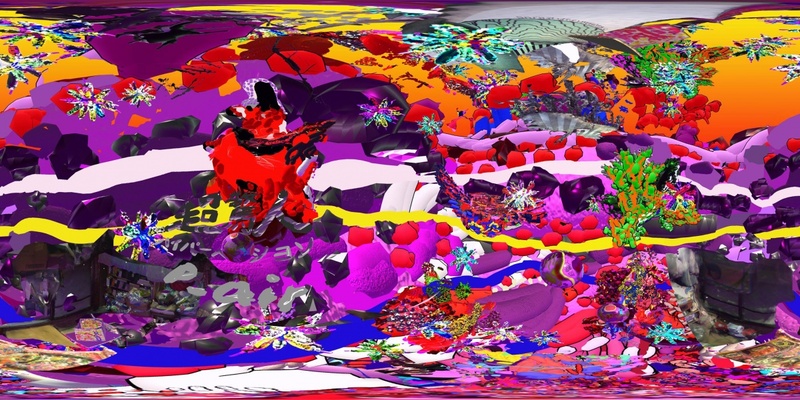 Each offers an expansion of the Maximalism research approach they explore within their practice, based on visual excess. By conducting field work at these sites, they hope to redefine the spaces around the human body in order to ultimately lead them to the “HyperBody” – a multi-reality space that mediates between the physical and virtual spheres. 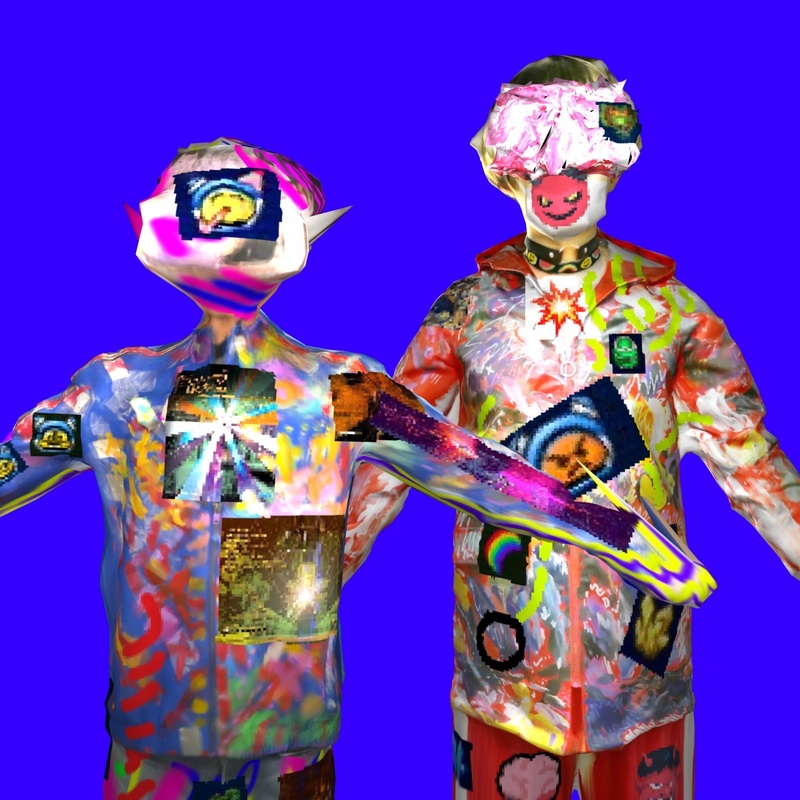 Essentially, “HyperBody” is an experimental artwork, and it is also an interactive test between virtual and physical spaces. The third chapter of “HyperBody” - the Hyperfeast of Chungking! 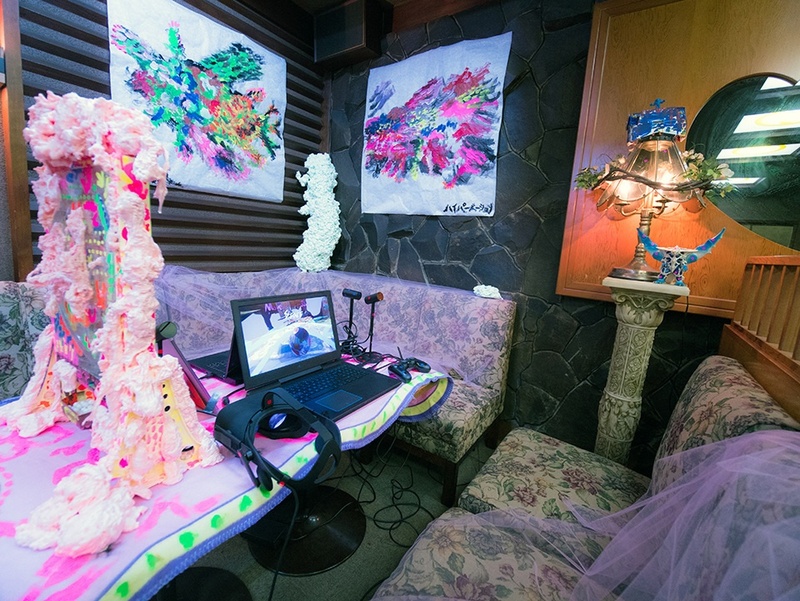 By exploring Chinese southwestern culture, the duo is realizing the interactive experience of digital hotpot and three-dimensional Chungking. Pete completed his Master’s degree in Media Practice and Diploma in Architecture at the Architectural Association School of Architecture, London. He completed his Bachelor’s degree in Architecture at the University of Liverpool in 2014. 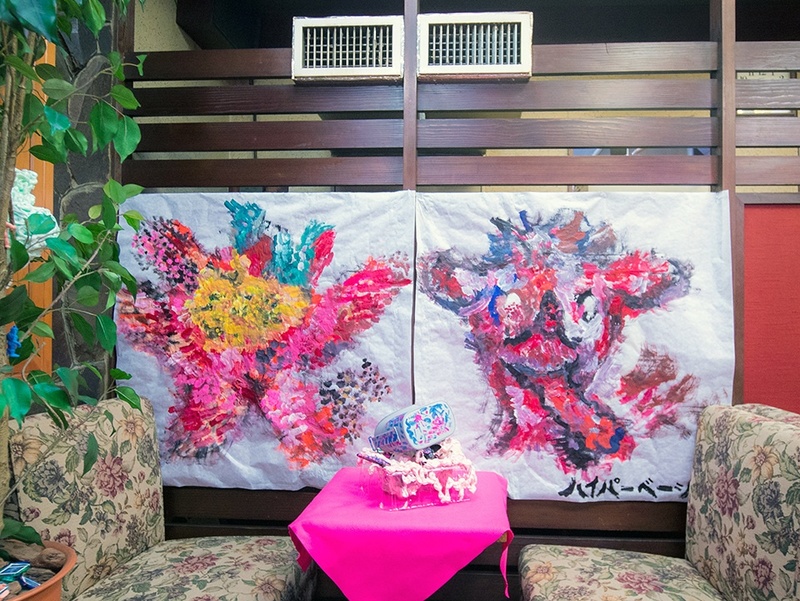 He has taken part in exhibitions, such as Festival du Film Invisible at HEAD in Geneva (2017) and the online artist residency Isthisit in London (2017). Additionally, he also worked as an architectural assistant at Birds Portchmouth Russum Architects, London (2015) and Natural Build, Shanghai (2013). Mingxuan completed his Master’s degree in Architecture at the University of Greenwich, London and also completed his Bachelor’s degree in Architecture at the University of Liverpool in 2014. They were alumni during their undergraduate years. As an architectural assistant, he worked at UNStudio in Shanghai and Sheppard Robson Architects in Manchester on various cultural and landmark building projects, including Lyric Theatre in the West Kowloon Cultural District of Hong Kong (2016), Raffles City in Hangzhou (2015), and the Contact Theatre Redevelopment in Manchester (2014). 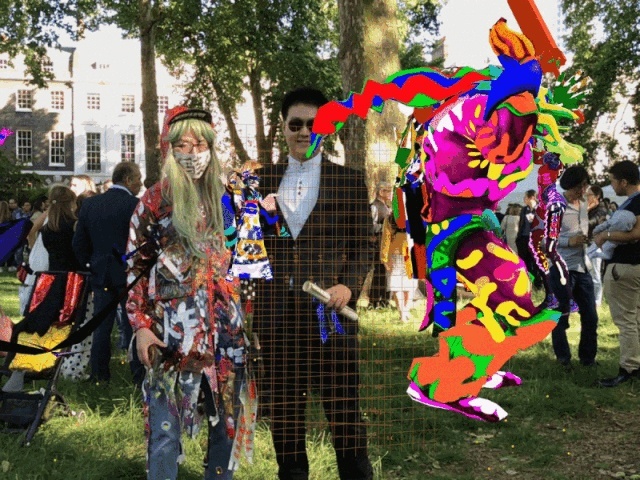 Hyperbation is an interdisciplinary artist duo formed by Pete Jiadong Qiang and Mingxuan Xie, who remix, recreate and rediscover the relationship between the human body and digital technology. 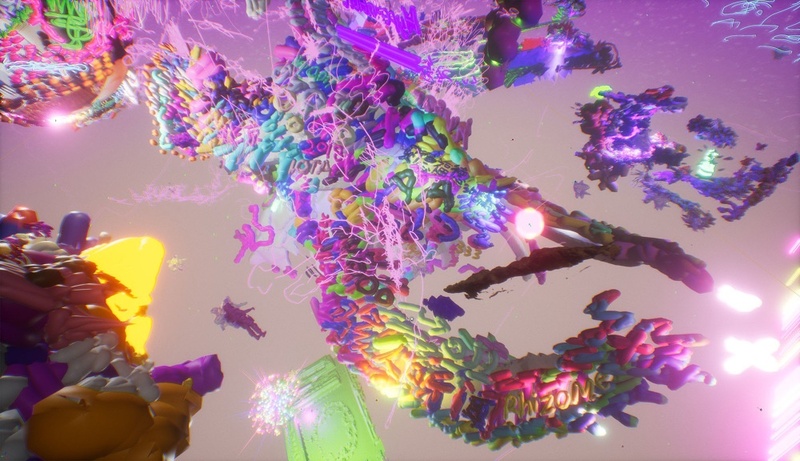 They create alternative mixed reality architectural experiments aimed at erasing the boundaries between virtual and physical spaces, while expanding the notions of gamification, hyperization and hyperlocalization. 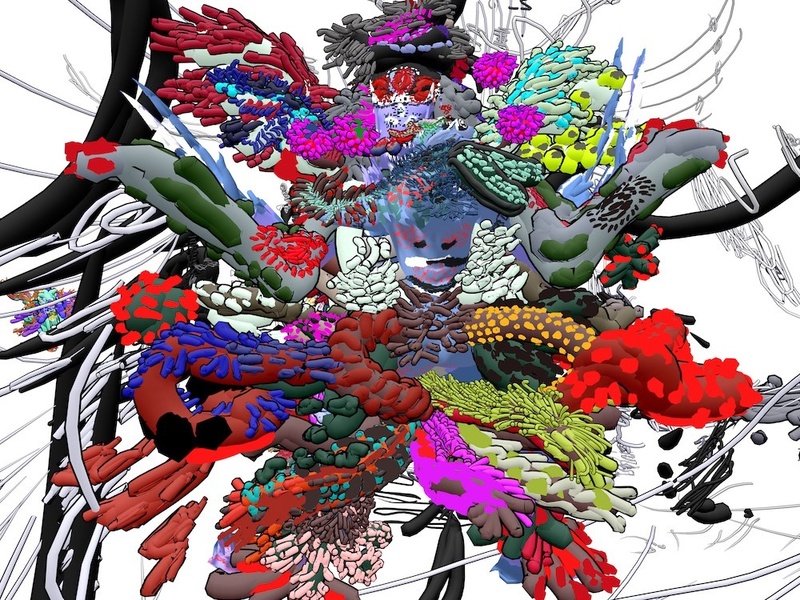 Hyperbation merges contemporary art, architectural, anthropological and digital media practices, and makes use of both cultural and technological tools to their ultimate limits. Hyperbation: AA Zoo School is an architectural experiment located between physical and digital space, which initiated on 2018 graduation ceremony of Architectural Association. Following in a long tradition of wildly ·extravagant performance and carnival at the AA – typified by former School Director Alvin Boyarsky riding around Bedford Square on an Elephant in 1978 – AA Zoo School takes material from the AA’s Archive, collides it with a cast of virtual characters and will juxtapose multiple environments with the live events of the AA Graduation Ceremony and Projects Review, 22nd June 2018. "Long long ago, there were six horrible ghosts in Chiba locked inside an old pachinko machine and stored in the storage room of Wakamatsu Cafe, Matsudo. One day during the Bon Festival, the drunk visitors accidentally unlocked the pachinko machine. The powerful ghosts escaped and transformed the visitors into small pachinko balls. As one of the unlucky visitors, you need to control the ball to hit the six ghosts as well as the final jackpot to become human again and back to the real world…"
In the game, the player needs to take the VR device and turn into a small marble, which can successfully overcome the obstacles of those monsters and hit the jackpot, before removing the VR device and returning to the human world. 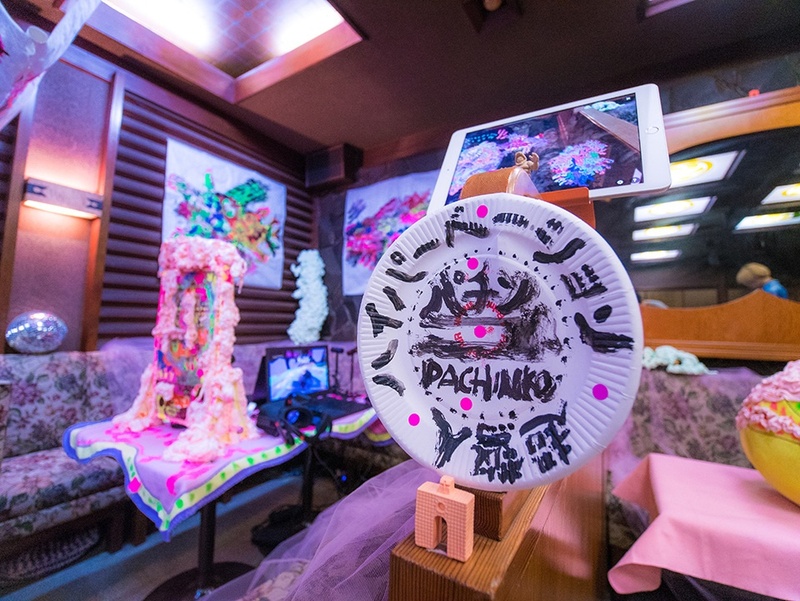 Hyperbation Pachinko is a VR pachinko game based on Matsudo local art activity and Japanese pachinko culture as part of the ongoing spatial experiment for gamification, hyperisation and hyperlocalisation. As the first stop of the HyperBody, Pete and Ming expressed their strong interest in Dunhuang's historical and contemporary religious culture. They used 3D scan to integrate the original features of Mogao Grottoes into the HyperBody (even the local non-trafficked adult toy store into the game). Cakrasamvara in the murals became a virtual image of Androgyny at this time. But they think the it’s also a pity that Dunhuang Grottoes have few critical contemporary cultures. "Most of the Grottoes have been protected. In terms of time, Dunhuang grotto murals have no ability to change with each passing day." Pete and Ming said so. 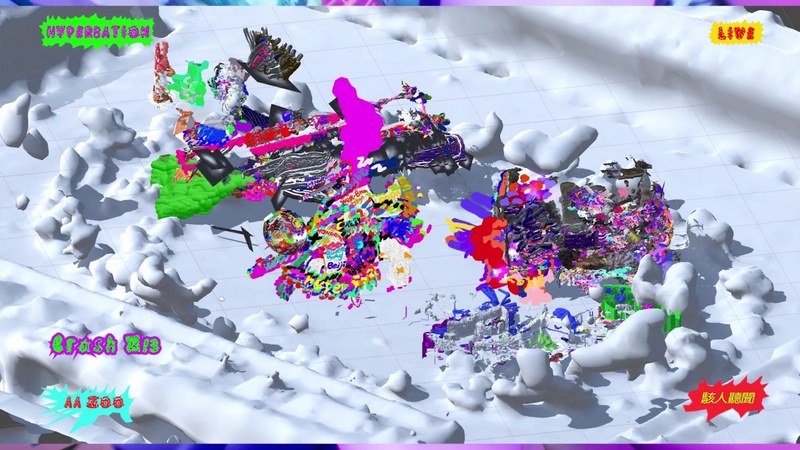 In the creative process, the duo applied a new "Zerg" thinking (StarCraft race: high fecundity, high mobility and high destructiveness and flexibility): in 2018, what is the contemporary "experimental"? How to achieve a transcendental architectural discipline, with diversity, indexicality, Thousand Plateau thinking mode, to conduct an "experimental" action and declaration on HyperBody and its radiated space (HyperAura) from the perspective of digital anthropology. From the perspective of digital anthropology, can this practice and research approach of Hyper Indexical re-discover the interaction between virtual and actual space in the next level, thereby redefining what is the basic unit of posthuman, and transcending the scale of ontology to create a space experiment of multiple realities? HyperBody is continuous creating. Like I told you before, let’s play game!